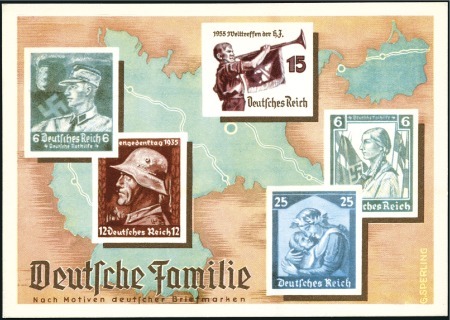 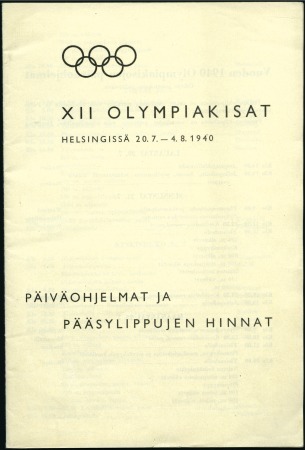 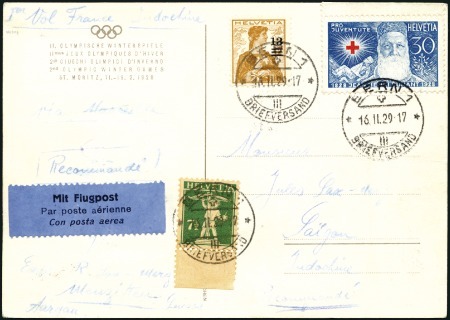 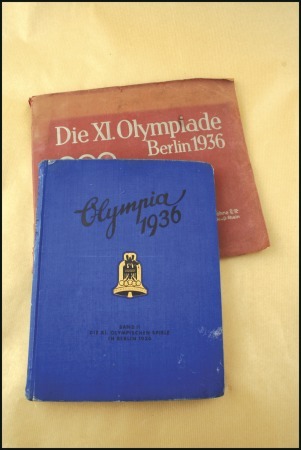 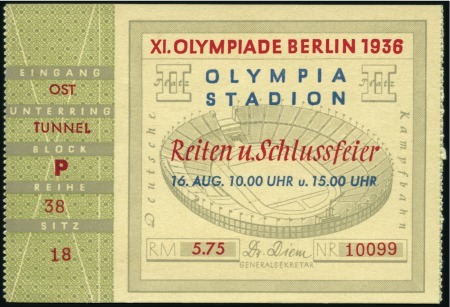 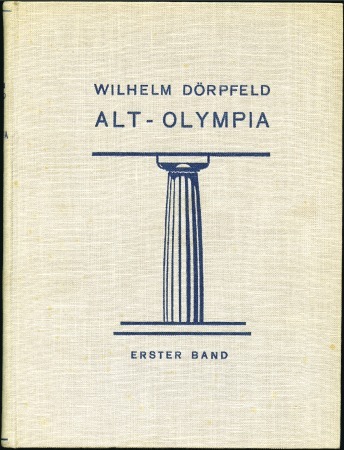 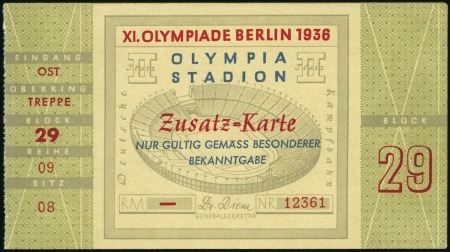 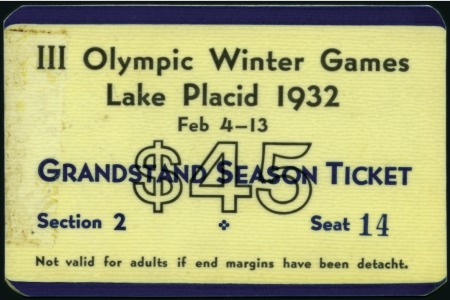 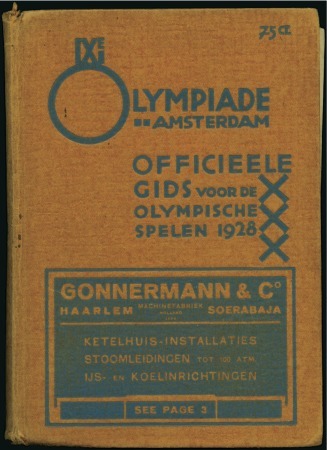 Olympics » 1936 Berlin » Documents, Programmes, Tickets, etc. 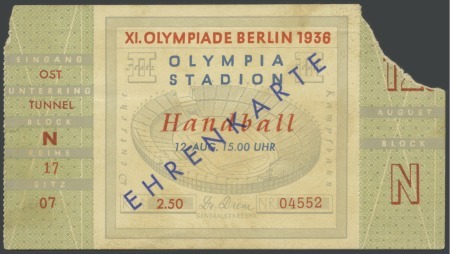 1936 Berlin: Hourly Time-Table Programme and Plan, in Spanish, with stadium illustrations, cover a little dirty, pencil marks inside, otherwise fine. 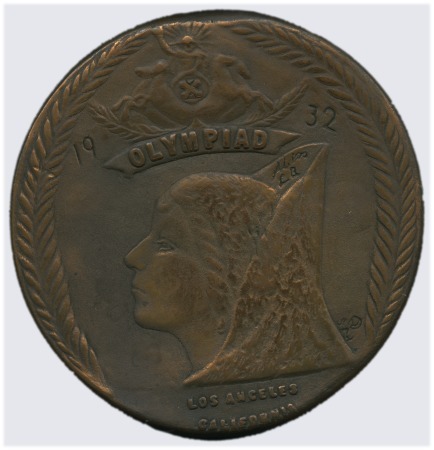 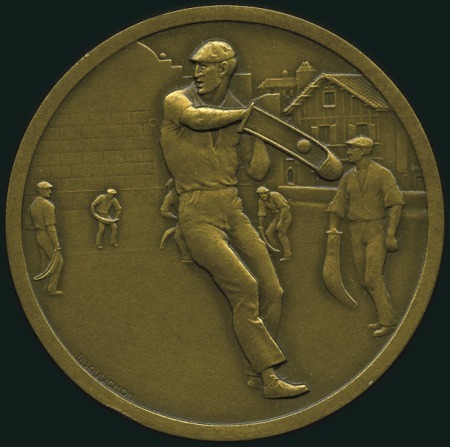 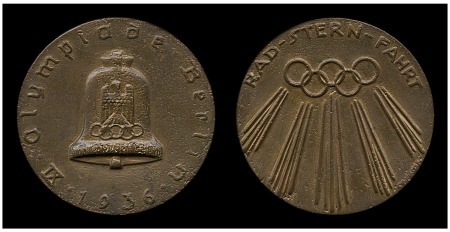 1936 Berlin: Miniature Merit Medal, 16mm, silvered, incl. 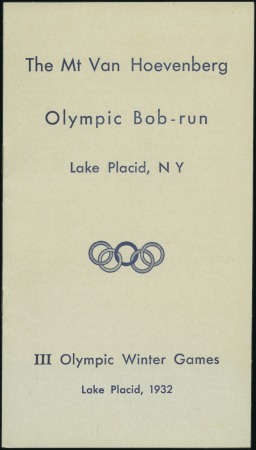 correct ribbon. 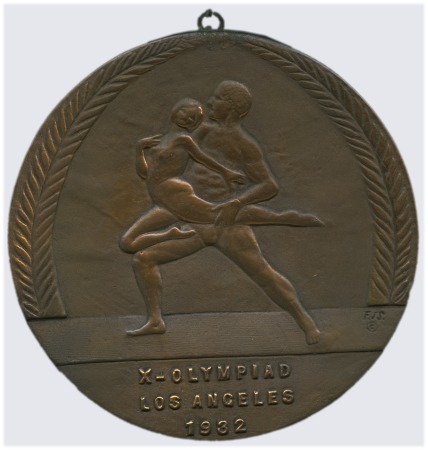 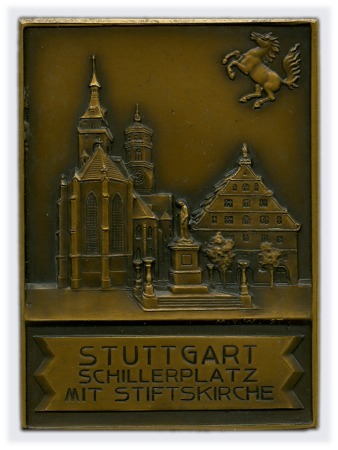 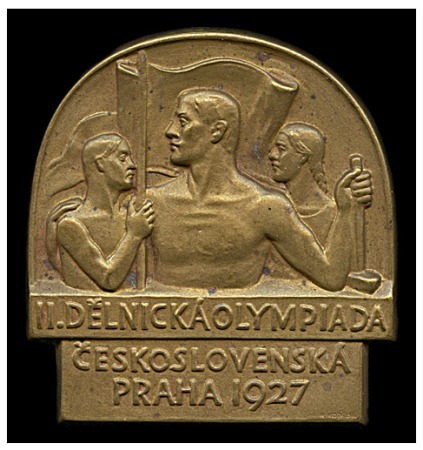 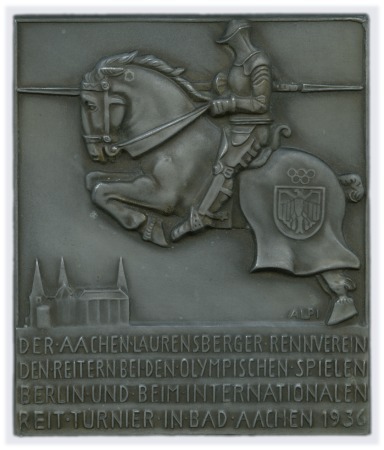 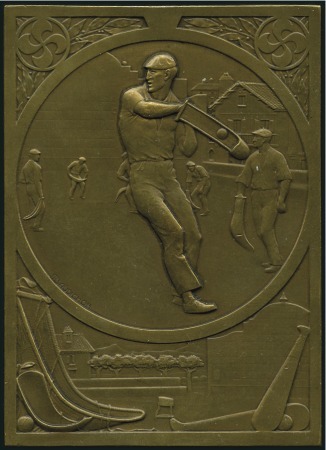 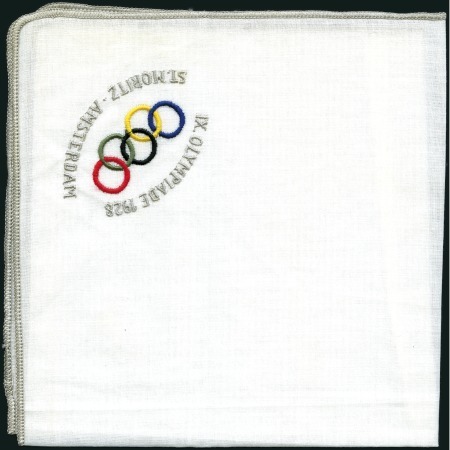 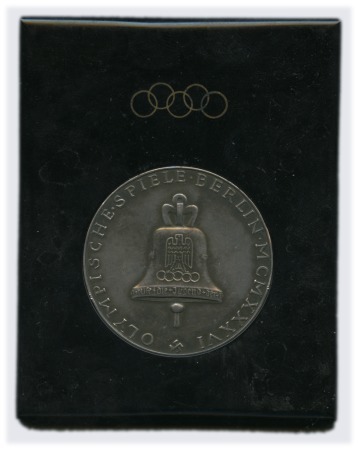 1936 Berlin: Olympic Year ASV Jubilee Swimming Championship 1936 Second Prize Plaque, 64x80mm, white metal with enamelled monogram. 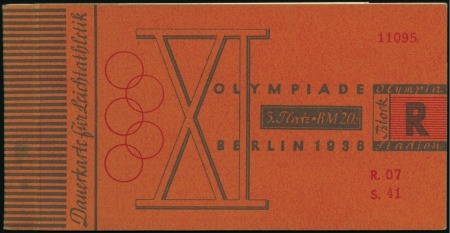 1936 Berlin: Olympic Rings pin, 58x20mm, silvered, incl. 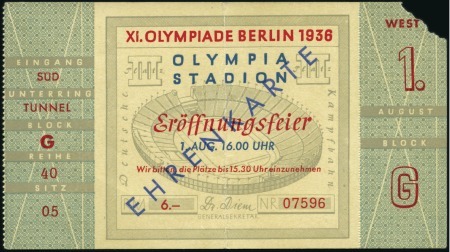 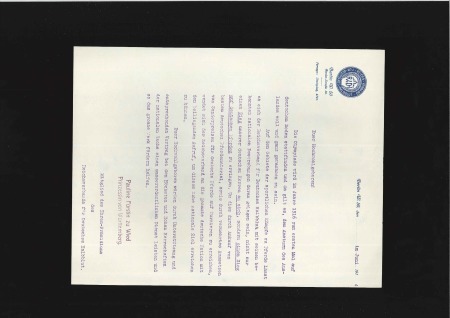 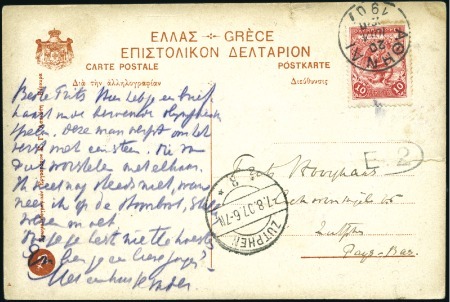 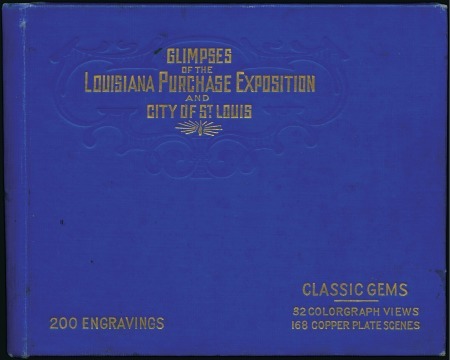 original yellow and blue ribbon (but with blue very much faded).